On June 23, the building Energy Academy Europe is named "most beautiful new building in the city of Groningen". The building of the University of Groningen won two prizes, both the public and the jury awarded the building of architectures Broekbakema (Rotterdam) and De Unie architecten (Groningen) winner of the Big Groningen Building survey 2017. The jurist acknowledges that in Groningen not only a particularly sustainable and ambitious building has been put down, but that it it a combination with very beautiful architecture. 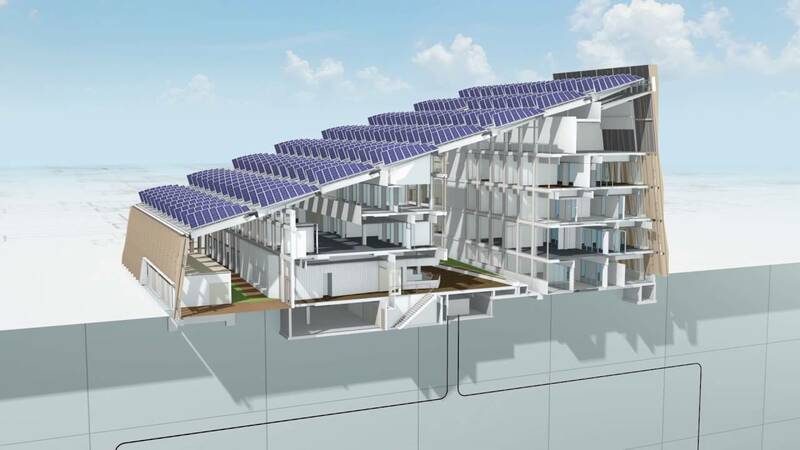 Its smart design will keep its energy requirements low; the building will even be able to produce more energy than it uses. 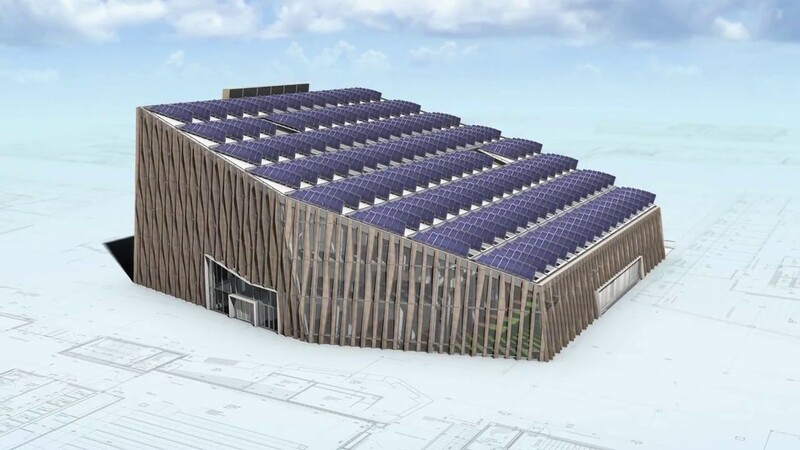 The Energy Academy Europe building is the most sustainable educational building in the Netherlands. With naming the prize winning design the Architecture Day 2017 started, organized annually by the DAG Foundation and GRAS Platform. Part of the program was a visit to the Energy Academy Europe Building on Saturday, June 24th during the Open Day. This opportunity has been enthusiastically used by architectural enthusiasts. In the Energy Academy Europe building - completed in October 2016 after just 18 months on construction – collaborating parties are working on the transition to the energy of the future. These are the University of Groningen with the Energy and Sustainability Research Institute Groningen (ESRIG), the Hanze University of Applied Sciences Groningen, Energy Academy Europe, Energy Valley and the Energy Delta Institute. This project is co-financed by the Northern Netherlands Provinces alliance (SNN), the Ruimtelijk Economisch Programma and the Ministry of Economic Affairs. The University of Groningen congratulates all designers and construction workers with the 'Architectuurprijs 2017'. More information about the design and details of the progress of the building work is available on www.rug.nl/GroundbreakingWork or www.facebook.com/GroundbreakingWork .